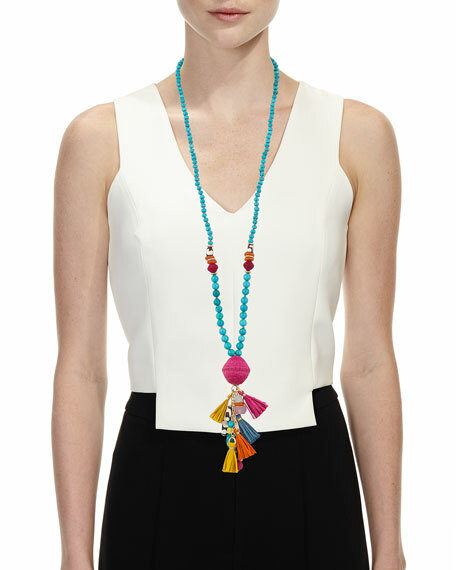 Akola long necklace with mixed beads and multi-tassel drop. Polished golden brass hardware with mixed, multi-size beads. Turquoise howlite, batik Kenyan bone and recycled glass. 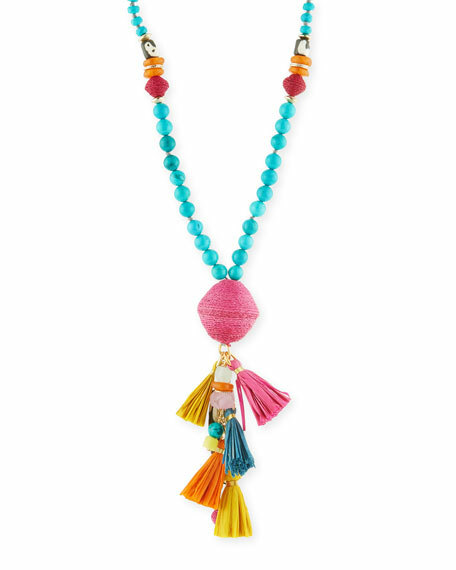 Raffia wrapped beads with multicolor raffia tassels. For in-store inquiries, use sku #2539742.